On 29 October 1997, 19-year old Parma goalkeeper Gianluigi Buffon debuted for Italy, the first of his record 165 caps (and counting). 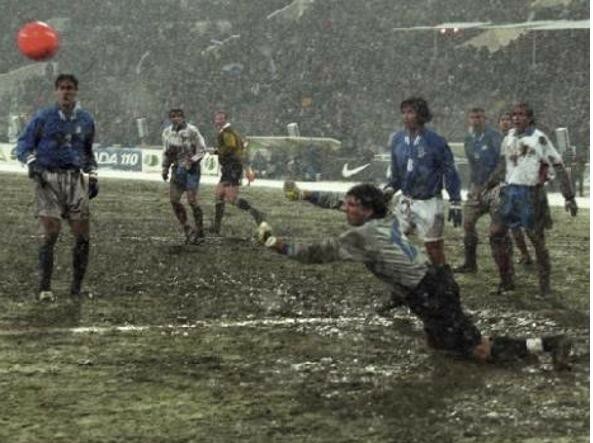 That first match was a rain-soaked 1–1 away draw with Russia in a qualifying playoff for the 1998 World Cup. Although picked for the squad, Buffon was an unused substitute for the tournament. He then missed Euro 2000 due to injury. By the 2002 World Cup, however, he had secured the starting job and remains Italy’s first-choice keeper. Buffon was an integral part of Italy’s World Cup winning side in 2006, giving up only two goals in regulation (an own goal in the group stages against the United States and a penalty in the final against France). 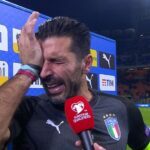 Italy beat France on penalties, 1–1(5–3) to claim their fourth World Cup and Buffon won the Yashin Award for best keeper in the tournament.